I went to two concerts this week and though I rarely worry much about what I'm wearing to concerts preferring to opt for whatever is comfortable and doesn't make me look too old and stuffy, I do like to have fun nails when I'm out for a night of live music. 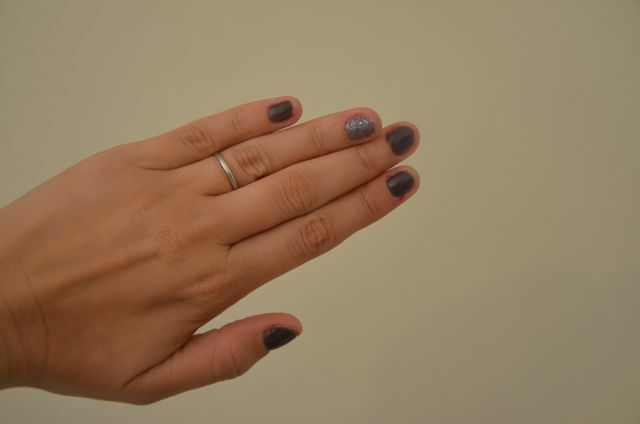 I chose GOSH Mysterious Mauve and GOSH Frosted Purple (both c/o GOSH Cosmetics) to achieve my fun nails for the week. I really like both of these nail polishes. 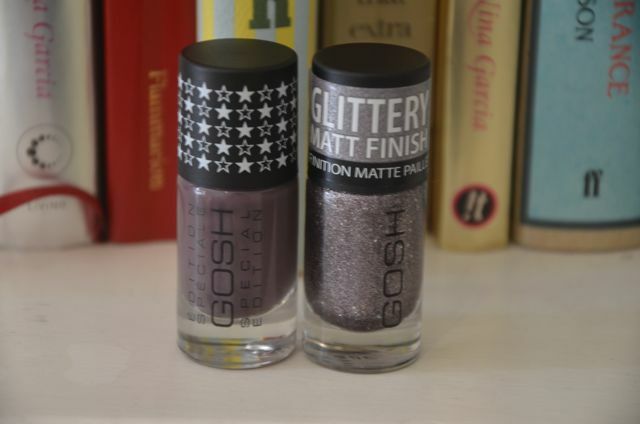 I'm not normally a huge fan of glitter nail polishes, primarily because they're difficult to remove, but I have had no problem removing the GOSH glitter polishes I've tried recently. Mysterious Mauve has a brownish tint to it, making it a gorgeous shade of deep purple, but not too dark, that will look gorgeous for the Autumn! What nail polishes are you loving these days?